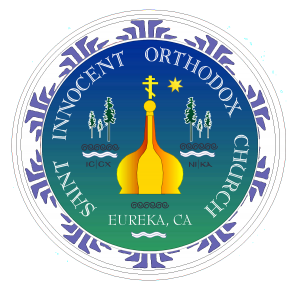 Convert to the Orthodox Faith baptized outside the Orthodox Church are may be (1) baptized (2) conditionally baptized (3) simply Chrismated depending on the circumstances and as determined by the bishop. The practice of baptism as a religious symbol did not begin with Jesus. Baptism, which means literally the immersion in water, was practiced among the people of the Old Testament as well as the people who belonged to pagan religions. The universal meaning of baptism is that of “starting anew,” of dying to an old, way of life and being born again into a new way of life. Thus, baptism was always connected with repentance which means a moral conversion, a “change of mind,” a change in living from something old and bad to something new and good. Thus, in the Gospel we find John the Baptist baptizing the people as a sign of repentance in preparation for the Kingdom of God which was coming to men with Christ the Messiah. Christ himself was baptized by John not because he was sinful and needed to repent, but because in allowing himself to be baptized he showed that indeed he was God’s “Beloved Son,” the Saviour and Messiah, the “Lamb of God who takes upon himself the sins of the world” (See Mt 3, Mk 1, Lk 3, Jn 1-3). In the Christian Church the practice of baptism takes on a new and particular significance. It no longer remains merely a sign of moral change and spiritual rebirth. It becomes very specifically the act of a person’s death and resurrection in and with Jesus. Christian baptism is man’s participation in the event of Easter. It is a “new birth by water and the Holy Spirit” into the Kingdom of God (Jn 3:5). Baptism in the Church begins with the rejection of Satan and the acceptance of Christ. Before being baptized, a person—or his sponsors or godparents for him—officially proclaims the symbol of Christian faith, the Creed. Because the godparent speaks on behalf of the child, sponsors his entrance into the Church and “receives” the child out of the baptismal waters into the Church and cares for his spiritual life, the godparent himself must be a member of the Church. After the proclamation of faith, the baptismal water is prayed over and blessed as the sign of the goodness of God’s creation. The person to be baptized is also prayed over and blessed with sanctified oil as the sign that his creation by God is holy and good. And then, after the solemn proclamation of “Alleluia” (God be praised), the person is immersed three times in the water in the name of the Father, the Son and the Holy Spirit. Through the act of immersion, the baptized person dies to this world and is born again in the resurrection of Christ into eternal life. He is clothed with the “garments of salvation” symbolized by the white baptismal robe which is the “new humanity” of Jesus himself who is the new and heavenly Adam (See Jn 3, Rom 5, 1 Cor 15). Thus, the words of the Apostle Paul are chanted as the newly-baptized is led in procession around the baptismal font three times as the symbol of his procession to the Kingdom of God and his entrance into eternal life: “For as many as have been baptized into Christ have put on Christ. Alleluia” (Gal 3:27). In ancient times this procession was made from the baptistery to the church where the newly-baptized received Holy Communion at the celebration of the Divine Liturgy. Baptisms were normally done in connection with the Easter Liturgy; our present procession around the church building on Easter night is nothing more than our remembrance that we are baptized, that we have left the life of this world to enter the eternal life of the Risen Christ in the Kingdom of God. This new life is given to us in the life of the Church, most specifically in the Divine Liturgy. Before the baptismal procession and the reading of the Epistle and the Gospel is fulfilled in the reception of Holy Communion, however, the newly-baptized is given the gift of the Holy Spirit in the sacrament of Chrismation.